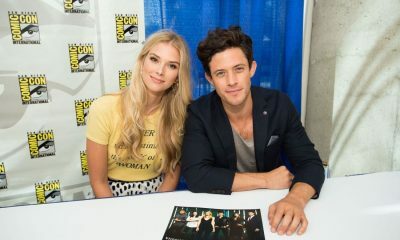 ABC Family’s new drama series STITCHERS features a young college student who gets recruited to work with a government program in an unusual capacity — she is hooked up to the brains of the recently deceased in order to stop eminent threats and solve crimes. It takes a very special kind of person with a unique skill set to do that, and Kirsten (Emma Ishta) just happens to be a perfect match. Born with a rare medical condition that allows her to step outside of time, or rather she has no awareness of time, it means Kirsten’s brain is compatible with merging with another person’s brain. It all sounds very sci-fi and cutting-edge science, but for Kirsten it also allows her the privilege of helping in a way that no one else can. In an exclusive interview, star Emma Ishta talked about the interesting people who populate Kirsten’s world and what motivates Kirsten to join this elite team of government scientists. How would you describe your character Kirsten? EMMA: Kirsten is incredibly smart and a little anti-social. She has a condition called temporal dysplasia, which affects her ability to comprehend the passage of time and it also impacts on her ability to connect with her emotions, and because she cannot really connect with her emotions it is difficult for her to connect with other people. So she is not incredibly empathetic, but she’s definitely ambitious. Why does Kirsten want to be a part of the Stitchers Program? What is her motivation there? EMMA: I don’t think she is given too much of a choice in the beginning. She’s definitely put in a situation where she has to do it. She doesn’t really have anywhere else to turn. As the season progresses, you’ll see that she actually decides to make that decision to stay and you’ll see her reasons why in the first few episodes. You’ll also see some other people who are involved in making sure that Kirsten was a part of the program, where things were set up. We also meet Kirsten’s roommate Camille (Allison Scagliotti) and they have a very fractious relationship. How would you describe it? EMMA: Camille is a little duplicitous, but the really nice thing about their relationship is they are both highly intelligent women and they really respect each other for that, even though they have all these differences on a person-to-person level. So you see their friendship develop. You see them become a little more sympathetic towards one another. It’s nice to see them work together instead of compete. How was it working with Allison Scagliotti? Your characters have some fun scenes together. EMMA: She’s great! She’s a comedic genius. She knows how to hit all the right beats. She is just fantastic and very professional and knows exactly what she’s doing. 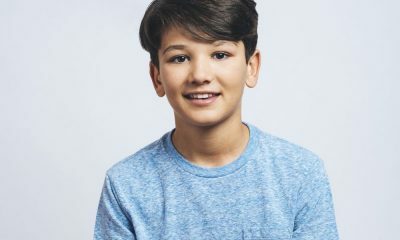 I’m honored to work with every single person on the cast and it’s really lovely to have somebody else in the same age group and situation to be friends with. 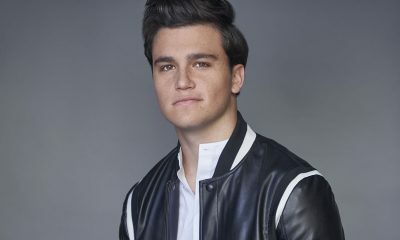 The other big relationship that comes about, professionally at least, is with Cameron (Kyle Harris). How would you describe what is going on with Cameron and Kirsten? EMMA: So Cameron and Kirsten initially meet at work, and they work together throughout the season. You’ll see that a friendship really blossoms between them. They challenge each other in interesting ways. Kirsten challenges Cameron to be a little braver, to put himself out there a little bit more; and I think Cameron challenges Kirsten to be a little bit more compassionate. They definitely rub off on each other in interesting ways and influence each other. They develop this partnership and, obviously, they have great banter and funny moments together. They are kind of like a dynamic duo. It is not clear initially if they are supposed are developing a romantic relationship underneath everything else. EMMA: (Laughs) You’ll see. In the beginning, Kirsten is not capable of feeling things. So it is definitely interesting to watch where that will go as she starts to be able to feel emotions. As the episodes start to play out, are we going to see more of the case-of-the-week mysteries or is there more of an arcing story going on through the season? EMMA: You have both. I think that is what makes a really great procedural, when you have not just a case you solve each episode, but you also have an overlying mythology in these over arcing storylines. So there’s definitely both. Then there’s that big tub of water in the Stitcher’s lab. Are you forced to be in a bunch of water all the time. EMMA: I definitely have to be in a bunch of water all the time. I will not be going into spas voluntarily for awhile. (Laughs) But it’s fine. We usually have one tank day per episode and that’s when I’ll do all the “stitches” in the lab and I’ll probably be in the water for about six hours. Our FX guys keep it really nice about 98 degrees, and it’s all filtered and I just sit in there. I’ve been known to bring in some rubber duckies, occasionally. Are you ever tempted to bring in any bubble bath? EMMA: (Laughs) Some bubble bath would be nice or maybe have some epsom salts. Were you even aware that you would be in the water that much when you first got cast in the role? EMMA: I guess it never really occurred to me. We actually shot a pilot before the pilot that you see for the show, and I was actually in the original pilot almost entirely naked in the tank. (Laughs) So I’m quite grateful that I’m not wearing my cat-suit and I don’t have to spend a lot of the show naked in the tank. What was your favorite thing that you took away from this experience? EMMA: For me, it was just being able to work every day and create and hold this character, and mold her into who she is. It is such an incredible privilege to be able to develop a human being. I’m just grateful to be playing Kirsten and working every day with these incredible people, whether it be my castmates, crew, the directors we worked with — and to learn from them. I learned so much every day from everybody I was around. Just to be there and to be doing what I love. It was the best thing I could have asked for! 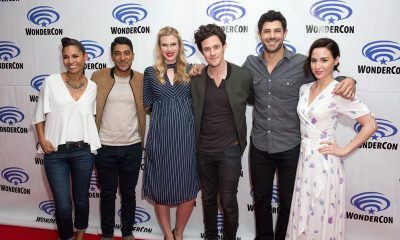 What can viewers and fans look forward to this season on STITCHERS? EMMA: You’re going to find out a lot of stuff about Kirsten and how the Stitchers program was developed, and you’re going to watch these characters grow. It’s a very character-driven show. It’s funny and there’s drama. There’s a little bit of something for everyone. So I think, hopefully, everyone will enjoy it as much as we enjoyed making it. 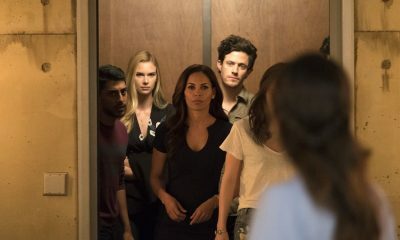 To see what the bigger mystery is involving Kirsten and the secrets behind the Stitchers program, be sure to tune in for the premiere of STITCHERS on Tuesday, June 2nd at 9:00 p.m. on ABC Family Channel.